Until late 2010, anyone could put numbers on forms and call themselves a tax preparer. Today, preparers must register with the IRS and complete a minimum of 15 hours of continuing education each year. But even among registered providers, Blissman & Co. stands out, participating in at least 40 hours of continuing education, each and every year. We don't just place numbers on returns; we look at the data, recommending deductions of which you may not be aware and educating our clients to the best practices that will help keep their businesses thriving and IRS auditors at bay. For more on our small business tax accounting and support, contact Mike Blissman, CPA & Co., LLC today! What red flags caused your company's IRS audit? We'll let you know and provide the education and advice you need to avoid future audits. 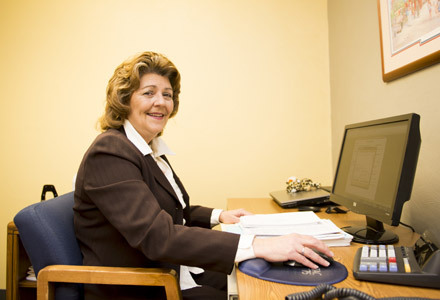 You don't have to be a Blissman & Co. client to receive our best IRS representation. We'll review your returns and meet with the IRS on your behalf. Don't wait until it's too late for experienced mediation, contact Mike Blissman & Co., LLC today! Whether your approach to tax preparation is aggressive or conservative, Blissman & Co. offers small business tax accounting tailor-made to meet the goals, needs, and concerns of your business.